Cuyahoga Valley National Park Description. The winding Cuyahoga, called the "crooked river" by Native Americans, gives way to rolling floodplain, steep valley walls and ravines, and lush upland forests. 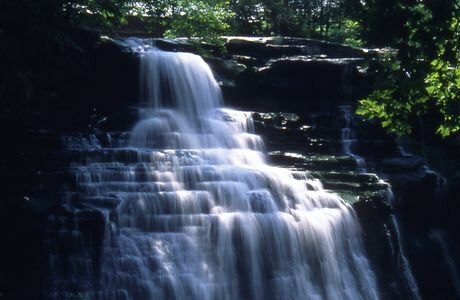 Cuyahoga Valley National Park is a refuge for flora and fauna, and provides both recreation and solitude for Northeastern Ohio's residents and visitors. Park trails, from rugged backcountry hiking trails to the Ohio & Erie Canal Towpath Trail, a graded biking and hiking trail, offer something for everyone.